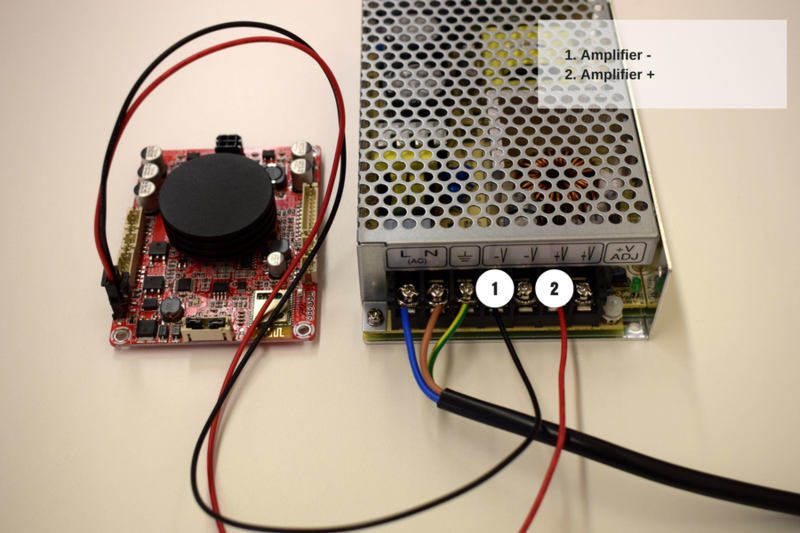 In this tutorial we tell you how to connect the Mean Well power supply to a regular amplifier board. 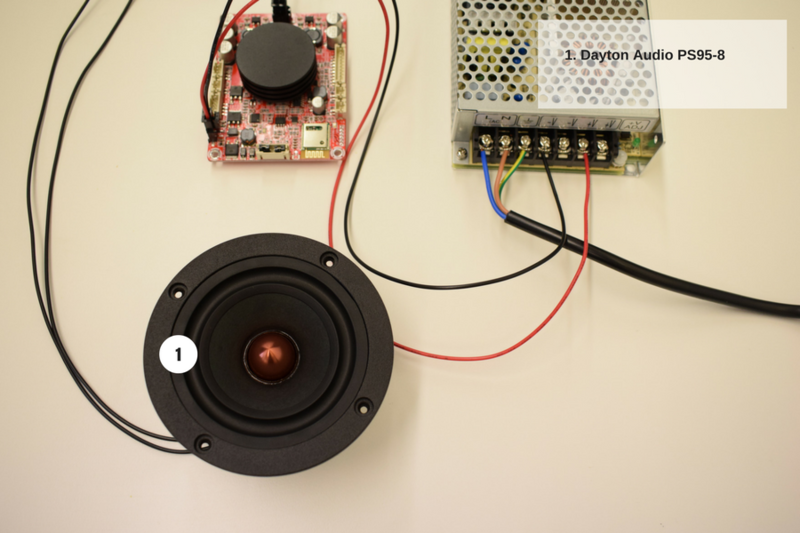 In this example we are using the Mean Well RS-100-24 and the Dayton Audio KAB-250A. However other combinations are possible! The combinations are listed at the bottom of this tutorial. Make sure you have the right products. 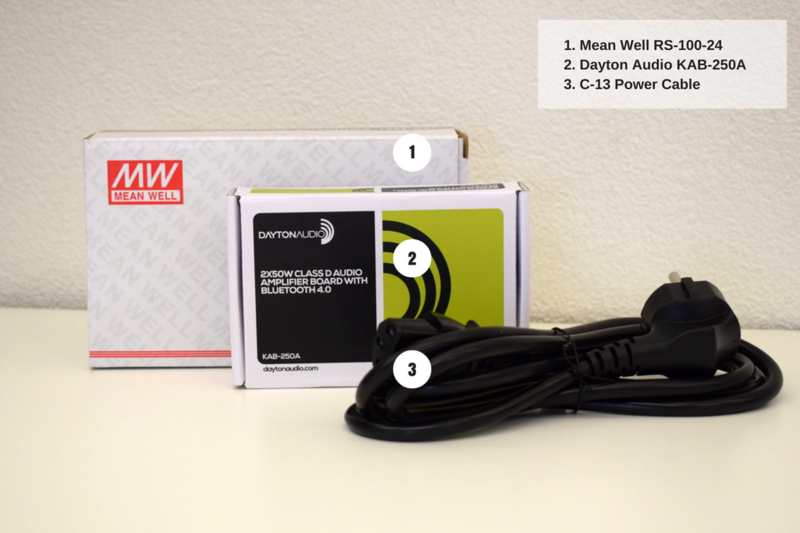 As you can see in the picture you need three products: Mean Well RS-100-24, Dayton Audio Kab-250A and a C13 Power cable 1.5 meter. Cut the female plug of the C13 Power cable to expose the cables that are inside. There are three different coloured cables. Make sure that the cable is not plugged in (is unplugged). The green/yellow cable is the ground cable. The brown and the blue cables carry the AC current. The yellow/green cable should be connected to the ground on the powersupply. The blue and brown cables should be connected to the L&N of the AC input. The power supply is now able to receive power from a normal AC power socket. The 230VAC 60Hz will be transformed into 24VDC. 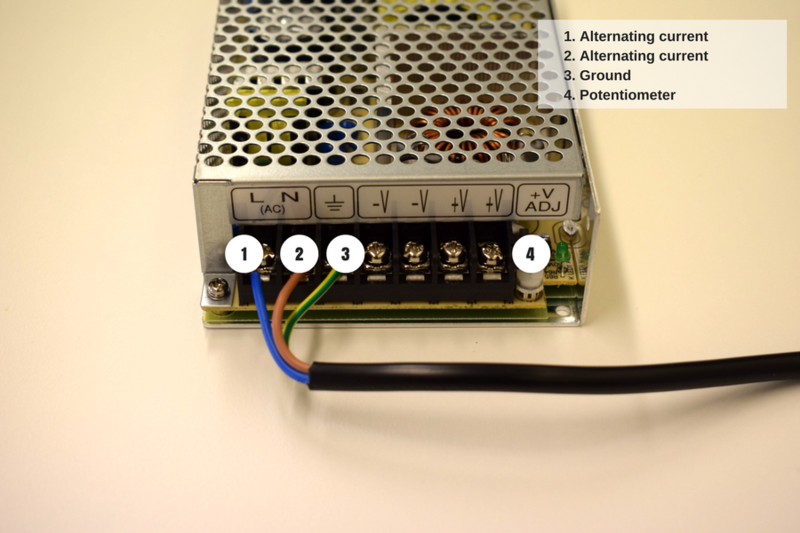 The voltage is adjustable with the potentiometer left of the indicator led and right of the V+ terminal. The voltage is adjustable for +/- 10%. 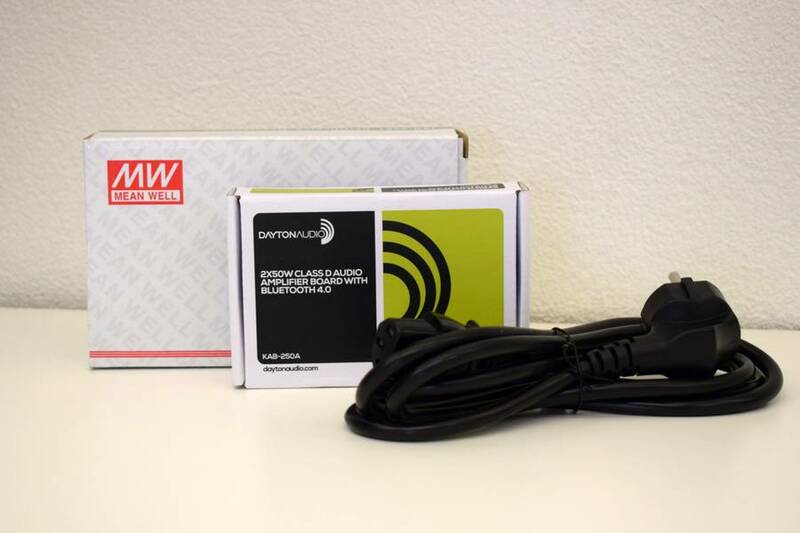 The Dayton Audio KAB-250 can now be connected to the powersupply. 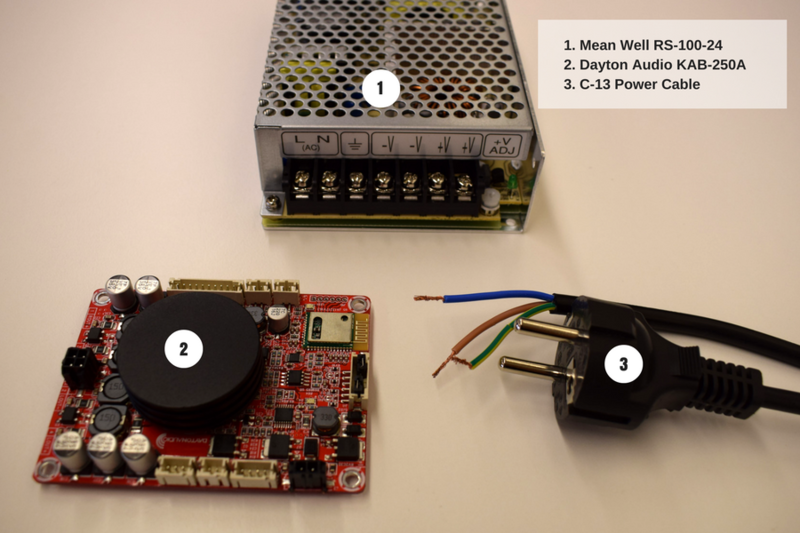 Make sure that you connect the black cable to the negative output (-V) and the red cable to the positive output (+V). The last step is to connect a driver of your choice. In this case we use the Dayton Audio PS95-8. Do you have questions regarding any of our products used in this tutorial? Please contact us via our chat, mail or telephone!